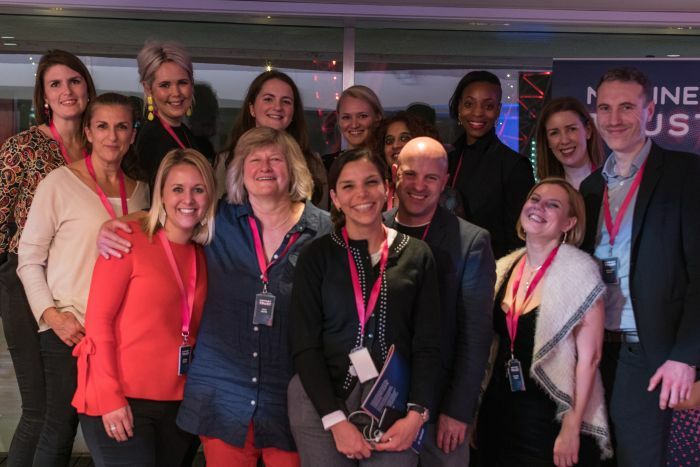 Time has flown by since our celebration of NT100’s fifth birthday – and we’re still buzzing from the energy the event generated that night and the fantastic feedback we’ve received since. We brought together people from diverse backgrounds across business, government and civil society to spark a global conversation about what it takes for socially motivated tech ventures to flourish and achieve social impact at scale. Through inspiring presentations and a thought-provoking panel discussion, our amazing speakers shared their views on the relationship between tech and society and explored what a future could look like if social transformation were the driving force behind tech. Matthew Gould — Director General for Digital and Media at DCMS — kicked off proceedings with an impassioned speech on how we keep the faith of the people. His remark that “the public need the right skills and support if they are to be part of and have faith in the digital economy” really resonated with us and further affirmed the importance of the work we’re delivering through our Digital Reach programme, engaging young people on the wrong side of the digital skills divide. Next on stage was Kate Wolfenden, Co-founder of WWF-backed Project-X. “It’s about true collaboration, not competition” she said, asserting the importance of recognising the numerous social tech ventures that already exist and the need for more collaboration to help mitigate risks to make ventures more appealing to investors who can help them scale. Collaborative working is hugely important to us and we’ve demonstrated that most recently in building our partnership with the Joseph Rowntree Foundation, Big Society Capital, Ascension Ventures and Finance Birmingham to launch the Fair By Design Fund. This £20m fund will support ventures that can disrupt the energy, finance and insurance markets and provide alternative services to millions of people on low incomes hit by the poverty premium. Our third speaker was Bunmi Durowoju, Senior Business Development Manager and Airband Initiative lead at Microsoft, who gave a thought provoking talk on implementing social tech innovations in emerging markets. She argued that “the implications of new technologies need to be thoroughly considered at the point of development, not retrospectively, if we are to achieve responsible innovation.” This echoes the insights we’ve gathered from our global NT100 ventures; understanding the markets and infrastructures of specific geographic regions is crucial in developing the right tech solutions that meet the social needs of its users and, most importantly, can be readily accessed by those people. And, finally, we were honoured to hear from ElsaMarie D’Silva, the founder and CEO of 2015 NT100 venture Safecity, who gave a heartfelt talk about the power of data when tackling culturally embedded social challenges and the importance of transparency and accountability in any social tech project. In 2018, we’ll be building on these insights and looking to the future of socially transformative tech. Meanwhile, click here to learn from ten ventures recognised by NT100 since 2013 that are now achieving impact at scale. And check out this film for a snapshot of the inspiring social tech projects from around the world that we’ve featured over the past four years of NT100. The conversation has begun. Join it by tweeting us @nominettrust using #NT100is5.